AGBU Alexander Primary School is part of the global network of bilingual Armenian schools established by the Armenian General Benevolent Union. and the realisation of each student’s potential, providing a balanced curriculum encompassing academic, spiritual, cultural, physical and practical areas of learning. The clear focus of the School is the enrichment of the individual student. This is achieved by committing to the personal development of each student by individualising programs; small classes; close monitoring of student progress; recognising potential and talent; facilitating a dynamic learning environment; encouraging active participation in school activities and performance. The curriculum implemented at Alexander Primary follows that which is laid down by the NSW Board of Studies. The comprehensive basic curriculum includes English, Mathematics, Human Society & Its Environment, Science & Technology, Creative & Practical Arts, Personal Development & Health, Physical Education. Supplementing the basic curriculum is a complete Armenian program incorporating Language, History, Religion and Culture. The school also implements an across school program in lateral and higher order thinking skills for all students in Kindergarten to Year 6. All students are offered extra and co-curricular activities to broaden their scope of learning opportunities, experience and personal skills. Extension and enrichment programs enhance learning for students needing further stimulation. Programs such as debating and public speaking ensure that every student participates at least at class level, to acquire confidence at these skills. Students also take part in UNSW English and Maths competition, NSW Basic Skills Test, Gifted & Talented Camps. Schools teams participate in the Forest District Inter-school Debating competition, Tournament of Minds Challenge and district chess competitions. Students are able to gain a well-rounded musical experience by participating in the school choir, private piano and guitar tuition, instrumental ensembles and folkloric dance groups. Participation in school concerts, community events and Eisteddfods competition is encouraged. The daily school routine includes a rigorous physical fitness program with structured sports session conducted on a weekly basis. Sports include athletics; cross country running; swimming; team sports including netball, volleyball, softball, cricket; aerobic and movement exploration. Lunchtime clubs provide skilled activities for student’s enjoyment. Computing education is part of the mainstream classroom experience. A wide range of educational software is used and incorporated across the curriculum. All students have access to a computer and gain computer literacy and skills in a wide range of subjects areas. Alexander Primary is fortunate to have supportive parents and community. Weekly newsletters are sent home providing information about school and parent activities. The Parent and Community Association organises social and fund raising functions. In addition, volunteers provide a nutritionally based canteen. Regular excursions are held for all years to further extend programs. Years 5 & 6 participate on an annual two/three day field trip. In addition to reinforcing classroom work with hands on experience, the students treat these field trips as an adventure, where they get to know their class friends and thus learn communication and relationship skills. Students have the opportunity to develop close and lasting relationships with other students. These friends will be “friends for life”. Parents can feel safe that friendship forged will be positive, long lasting and mutually beneficial to all. Leadership opportunities are promoted from the earliest years, both in the classroom and across all co-curricular activities. All Year 5 & 6 students act as junior school leaders in the “buddy program” where they each assist junior students with routine tasks. The importance of positive role modelling is recognised and all students are encouraged to accept responsibility for their personal contribution and the welfare of other students. Upper primary students are familiarised with secondary school techniques of independent working skills, organisation skills with use of school diaries and class timetables, teacher rotation, taking on roles of leadership and responsibility. As a result, our students enter their chosen High School with confidence and maturity. Principals from various High Schools have continually praised our students for their academic excellence and ability to integrate in a friendly responsible manner. Students who are happy and confident in themselves will achieve more and contribute more, living up to the school motto to “Grow and Serve”. 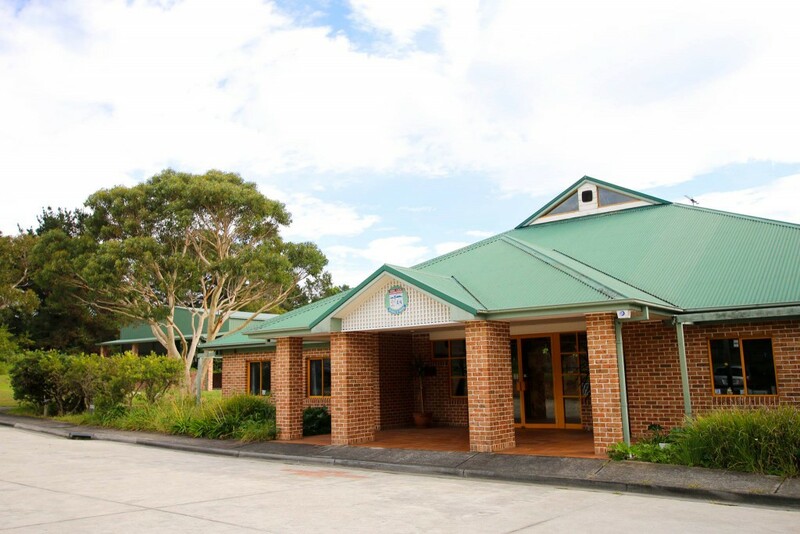 AGBU Alexander Primary School is situated in the tranquil bush setting of Duffys Forest with modern facilities, which is most conducive to learning. The school is a drug free environment, capped with a secure and caring environment, a team of professional teachers and support staff, excellent resources and equipment, and a commitment to a quality education for all.